Brian Ball, Virginia’s secretary of commerce and trade, has plenty of experience in the nuts and bolts of completing deals. Ball’s legal practice focused on securities law, corporate governance matters, and mergers and acquisitions. 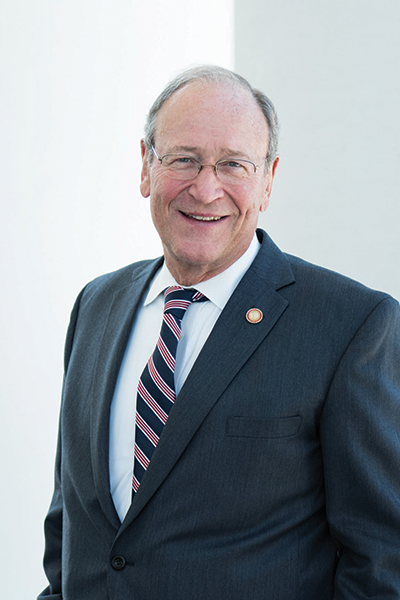 He represented many companies that were locating or expanding operations in Virginia, helping them with issues such as tax incentives and workforce development. Fowler believes Ball’s background serves him well in his new position. Ball’s secretariat oversees 13 state agencies, including the Virginia Employment Commission and the Virginia Economic Development Partnership (VEDP). VEDP, the state’s principal economic development group, underwent reorganization after a highly critical review issued by the Joint Legislative Audit and Review Commission (JLARC) in late 2016. JLARC criticized VEDP’s handling of financial incentives for economic development projects, saying a lack of policies and procedures put the state at risk of fraud and wasted money. Stephen Moret, Louisiana’s economic development secretary under former Gov. Bobby Jindal, became president and CEO of the VEDP early last year. “I have a huge amount of confidence in Stephen Moret, and he’s got a very good staff there, too,” Ball says. Ball served on the governor’s transition committee. In January, Northam named him special adviser to the governor for economic development and deputy secretary of commerce and trade. Three months later, Ball succeeded Esther Lee as secretary of commerce and trade when she resigned for family reasons. A co-founder of the Council for Korean Americans, Lee was a former technology executive who had served in the Obama administration and as vice chair of the Fairfax County Economic Development Authority. In addition to his Cabinet post, Ball serves on the board of Virginia’s Department of Game and Inland Fisheries. The avid outdoorsman was a member of the board of Virginiaforever, a coalition of businesses and conservation groups that seeks state funding for land preservation and improved water quality. He also was president of the Richmond Chapter of the Association for Public Growth. Ball is a native of Washington, D.C., whose father was an intelligence officer for the Central Intelligence Agency. Ball attended McLean High School and graduated with high distinction from the University of Virginia where he was an Echols Scholar and a member of Phi Beta Kappa. He received his law degree from the University of Virginia School of Law. From 1981 to 1982, he served as an assistant U.S. attorney for the Central District of California. He and his wife, Jennifer, who is from Waynesboro, have two adult children, Kitty, who works in marketing for a Richmond law firm, and Bobby, who is an accountant for a small company in Goochland County. Virginia Business talked with Ball at his office on Capitol Square in Richmond in early July. The following is an edited transcript. Virginia Business: Why did you decide to join the Northam administration? Brian Ball: Because the governor asked me to. I never worked in state government before, but my wife and I got to a place where we were supportive of people that we thought really had the best interests of Virginia in mind. I had gotten to know him when he joined the Senate, and then he became lieutenant governor and ran for governor. So, I had a long [relationship] with him, of getting to know him and working with him. He’s just a wonderful guy. VB: Now, I understand you were involved with economic development with your practice at Williams Mullen. Ball: I was. I did corporate work virtually all of my career — a lot of mergers and acquisitions, and those weren’t necessarily in Virginia … In particular, in Virginia, there’s two projects I worked on that I’m real proud of. One was the [$400 million] Chaparral Steel mill in Dinwiddie [County, built in the 1990s]. I got involved with them before the first spade went into the ground to build it. … George Allen had just become governor. I worked on that and continued to work for that company even though it changed hands two or three times during the course of the rest of my time practicing law. That was a very satisfying experience. In a more recent [deal], I got to work with Canadian Bank Note. They did the facility [CBN Technologies] in Danville [in 2008] that makes driver’s licenses, the very secure driver’s licenses that we have now. That’s been another great company. VB: Do you feel like you have a different approach to economic development coming from the private sector than, say, someone who has been in state government? Ball: I don’t know — it’s hard to compare … But I know how to make deals, and that’s what I love to do. In this secretariat, we are all about economic development in Virginia. So, we are constantly interacting with companies that are prospects or companies that are here that are interested in expanding. [We see] how can we secure [their projects] for Virginia within the parameters that we operate, with fiscal conservativism and that sort of thing. I love what I’m doing just because … a lot of it is very transactional … I’m working with people who have been in state government far longer than I have, getting their input. It’s really fun to … blend the two disciplines, if you will. That’s been another part of the joy of the job — being here with all these really bright and energetic people working through what’s possible, A through Z. It’s the sort of thing I did in private practice. VB: What are companies saying that they need? Are there workforce issues? Tax relief? What is their biggest issue right now? Ball: I’d say the biggest common issue is making sure there’s a good workforce. That defines itself differently depending on where you are in the state. Northern Virginia wants computer scientists; they want engineers. Then you get to other areas of the state, you are talking about really qualified kids coming out of apprentice programs at community colleges and things like that. I would say a skilled workforce [is the biggest need]. A company isn’t coming here if they aren’t comfortable that they can have that. You get to the rural areas and broadband access, or the lack thereof, is a constant message we receive. Education, health care, those sorts of things all come up. Also, transportation, particularly in Northern Virginia, [is an issue]. We need to continue to figure out how that large population can move around. VB: How would you describe the administration’s economic strategy? Ball: Governor Northam is very committed to economic development. He’s from the Eastern Shore. I would say … he wants to see us work as hard as we can to get economic development in the areas that have not prospered as much as other areas in the state. While we will continue to do deals in the areas that are prospering, we are really doubling down in the rural and underserved areas. And … we got some cities that are struggling, too. It’s both. VB: Now one of the biggest prospects out there is Amazon’s second headquarters. Everybody’s competing for that. Ball: We would love to have Amazon as part of our Virginia community. We think that it would be a great fit for them to be here. VB: How would it change the [the state’s] economy if it came? Ball: Well, it will have immediate impacts in the areas where we have [proposed sites for the headquarters]. It’s a little known fact that Amazon already has about 10,000 employees in Virginia, so it’s no small employer for our state. It would be a substantial employer if they pick one of our sites. That has benefits in those areas. It also has challenges. We’ve got to make sure we have the infrastructure, schools, roads, housing and that sort of thing. So, we are talking about all of those things. But as far as elsewhere in the state, there will be indirect impact. There will be suppliers that will be involved. You’ve got substantial enhancements in your payroll and your collections off of income tax and things like that. It’s sort of a rising-tide-raises-all-ships scenario for the state. It would be a very significant project for us. VB: Virginia hasn’t disclosed its incentive package; some other states have. Why has Virginia decided not to disclose? Ball: Because that’s our policy not to disclose negotiations with companies that we would love to have here. Amazon is no different from any other company. You do know that we go through an MEI [Major Employment & Investment Projects Approval Commission] and a legislative process [to approve state incentives], so there are partners involved in the conversation if we are blessed with the opportunity. There will be a bill that goes through a General Assembly to address whatever package we come to an agreement on with Amazon. VB: Do you have any idea when [Amazon] might be making a decision? Ball: No. You hear a lot of speculation. We hear that both here in Virginia and in other states. We think it will be sometime this year. There may be a next step. We don’t know what that next step might be. VB: [Would the next step be] culling the group of 20 down to a group of finalists? Ball: One scenario is where they have a short list and start engaging with more than one [site] on their short list. They are going to assess community receptivity and that sort of thing. We feel really good about our sites. We think Virginia would embrace Amazon. VB: [The U.S. has just imposed tariffs on China, Mexico, Canada and the European Union] and China, in particular, has retaliated. What kind of effect will these escalating tariffs have on Virginia’s economy? Ball: I majored in economics. I was basically taught that tariffs are not good things. Trade wars are even worse. As far as how it’s going to affect Virginia businesses specifically, the one area we are most concerned about is agricultural products; soybeans; pork and all that … I guess there can always be winners and losers in tariffs, but at the end of the day, I do not think, and [the Northam] administration doesn’t think, that tariffs are the right way to get at some of the problems that have been identified, such as the inappropriate transfers of technology. There are other ways of dealing with that than a trade war. VB: In general, how does Virginia stack up to other states right now in competing for economic development? Ball: I’d answer that in two ways. There are states that are far more aggressive than we are in putting together incentive packages. I don’t know that we will or should ever get to that point. We are proud of our schools, our top-drawer universities. We are proud of our business environment. Our tax burden is very manageable, we think. Could we do some things to make us more attractive in that space? Sure we could, and we are going to look at that. It’s just a great place to do business; we are very proud of what we have to offer here. VB: One department under your [oversight] is the [Virginia Economic Development Partnership]. It’s gone through a lot of reforms and changes in the past couple years. How do you think it’s performing today? Ball: I would say it’s a high performer. I wasn’t there, of course, for the period that you are referring to. I knew that they had some challenges. The General Assembly got really focused on them, and there has been some work done. I have a huge amount of confidence in [VEDP’s CEO] Stephen Moret, and he’s got a very good staff there. Naturally, because we are all about economic development, we’re spending a lot of time with VEDP, and I’m very happy we’re working with them. VB: [One of your interests has been Virginiaforever, a bipartisan coalition including businesses and environmental groups.] Do you think that kind of cooperation can be instilled in other deliberations in the state? Ball: We’re not as polarized as some other parts of this country and Washington, D.C. In the economic development area, I work very collaboratively with folks of all sides of the political spectrum. I’m an ardent outdoors person, conservationist and sportsperson. I just have always found that working together, when you talk about land preservation or water quality, you get a whole lot more done. We do see data on what’s important to employers, particularly significant employers, and those attributes are important to them. They want their people to have places to go for recreation, to be outdoors, and so we’re strong in that space. I guess I’m promoting the conservation side of things, and you’re talking about the collaboration kind of things. The things I have done in that space have translated in working in government — getting everyone together and trying to find good solutions. That’s what our governor is all about. That’s set him apart even in this early part of his term. That’s what allowed us to get some resolution on Medicaid expansion, and things like that. It’s the reason I’m working where I’m working because of the way he approaches things like this.